»Visit Kothaligad If Looking For A Refreshing Getaway From Mumbai! Visit Kothaligad If Looking For A Refreshing Getaway From Mumbai! There are hundreds of places around Mumbai which make for ideal weekend stoppages. But on account of their popularity, they remain flooded with tourists and locals throughout the year. So, how about travelling offbeat this weekend and exploring the unknown surroundings of Mumbai? If you are keen on doing so, then you must plan a trip to the marvellous Kothaligad Fort, which has in store a lot to be savoured. Yes, this is one of the few offbeat places around Mumbai that will certainly leave you awestruck. From its historical significance to natural surroundings, each and every thing deserves to be explored. If you think Kothaligad is your kind of destination, then read on to know more about it. 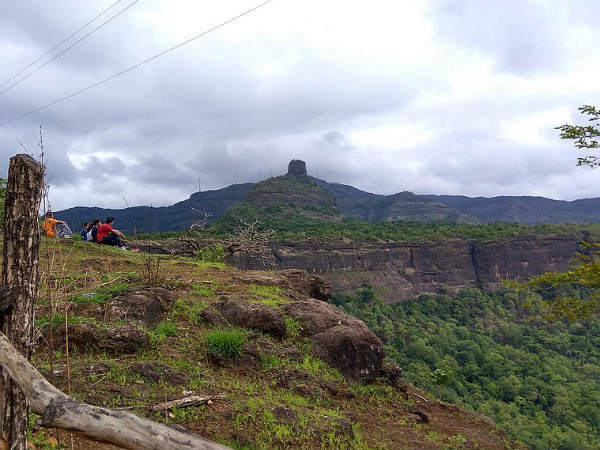 If you would love to experience and enjoy the best of Kothaligad and its surroundings, then the best time to visit it is from October until the end of March. Being a hill fort, most of the time during a year, the climate atop the fort remains bearable. You can also visit it during the monsoon season when the lush green beauty of the fort is at its peak. However, you need to be very careful as trekking trails and other ways of reaching the fort become slippery, and hence risky during the rains. Located at an elevation of more than 3000 ft, Kothaligad is a hill fort in the Raigad district of Maharashtra and is located near the beautiful town of Karjat. The base village of the fort is named Peth, and hence Kothaligad is also sometimes referred to as the fort of Peth. The fort has a history stretching back to the 13th century and was built by a local king. Later on, it was ruled by several other dynasties including the Mughals and the Marathas. As it is of great historical significance, the fort is an ideal weekend destination for history lovers. One can still find a small temple and numerous caves within the fort complex. Being a hill fort, it also attracts hundreds of picnickers and nature lovers every year. Don't you think you must plan a trip to this wondrous spot where you can savour history and nature simultaneously? Kothaligad is a perfect destination for those who are looking forward to spending their weekends in the midst of a refreshing and rejuvenating atmosphere. Apart from savouring the panoramic beauty of Karjat and enjoying the natural surroundings of the fort, you can also indulge in exploring the history of Maharashtra. If you are an architecture enthusiast, then the beautiful drawings and carvings on the fort walls would certainly interest you. By Air: The nearest airport to the fort is located in Mumbai at a distance of about 95 km. Once you have reached Mumbai, you can either hire a direct cab or use the public transport to reach the fort. By Rail: If you are looking forward to travelling by rail, then the best way is to take a direct train to Karjat railway station and then from there, a cab to the base of the fort. From the base, you need to trek up the hill to reach the fort. The distance between the fort and Karjat is 28 km. By Road: The region around Kothaligad is well connected to all other cities and towns by road.